Shopee brings back the Super Gadget Zone Sale for 2019, the biggest online electronics sale in the Philippines. 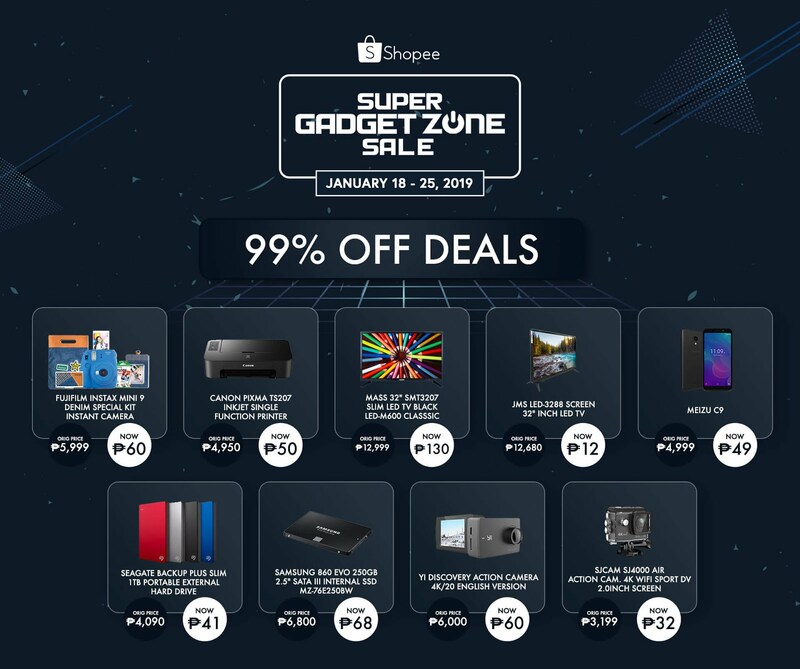 From January 18 to 25, the Super Gadget Zone Sale lets users save more on their favorite tech products with Lowest Price Guaranteed deals on a wide selection of premium gadgets; including a limited-time promotion of 99% off the hottest mobile phones, cameras, and HDTVs. In addition, users can enjoy free shipping with a lower minimum spend of ₱350 and 3 rounds of flash sales every day. The campaign will also feature a diverse array of products from top brands including Xiaomi, Platinum Karaoke, Vivo, ASUS, and Robinson’s Appliances. Xiaomi: Up to 73% off their flagship products including the Pocophone F1 and Redmi 6A. Vivo: Up to 40% off popular gadgets including the Vivo V9 and Vivo Y69. Platinum Karaoke: Up to 76% off storewide including the popular KS-5 Jr. Lite and the Platinum Sound Bar. Huawei: Free Huawei i9 Bluetooth Speaker with every purchase of the brand-new Huawei Y9 (2019) smartphone, and a free Shopee-exclusive Huawei bag with every purchase of the Huawei Mediapad M5 tablet. Robinson’s Appliances: Up to 50% off on selected items including the Delichef Blender and the Russel Hobbs Juicer. Anker: First 30 shoppers who spend at least ₱2,000 on their official store will receive an exclusive Powercore Travel Pouch. 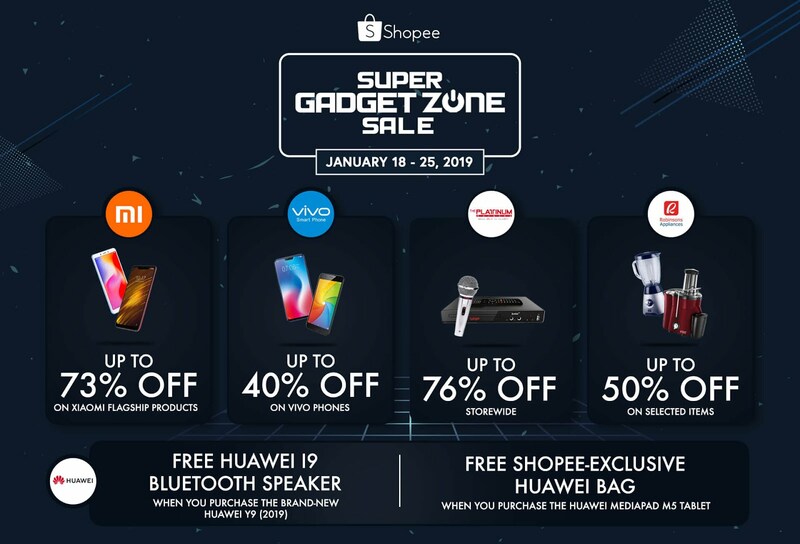 For more information, https://shopee.ph/ or download the Shopee APP now!